Bottomfish, crustacean and coral reef fisheries in the Pacific Remote Island Areas (PRIA) occur at a relatively low level due to their remote isolation, jurisdictional status and existing federal regulations. Recreational fishing at Palmyra Atoll is being developed through The Nature Conservancy with special interest in flying fishing for bonefish. The recent renovation of the airstrip, and construction of vessel re-provisioning facilities by a fishing venture, may promote increased fishing activity in and around Palmyra Atoll and Kingman Reef. Recreational fishing by military personnel and civilian contractors occur at Johnston and WakeIslands. In 1998, two Hawaii-based troll and handline vessels, and one demersal longline vessel targeting sharks, fished in the EEZ around Palmyra and Kingman Reef. These vessels targeted both pelagic and bottomfish species, including yellowfin and bigeye tuna, wahoo, mahimahi, deep slope snappers and sharks. Trips in 1999 targeted the two-spot snapper, Lutjanus bohar, at Kingman Reef. Fishing stopped after results of a single specimen submitted for testing showed slight traces of ciguatera. A few fishermen have expressed interest in fishing for lobsters in the PRIA, and at least two have attempted it. However, tropical lobsters (green spiny, P. penicillatus) do not enter traps readily. A lobster harvest exploration in 1999 in Palmyra and Kingman waters was unsuccessful. This venture is also believed to have attempted to target the red crab (Chaceon spp.) and deep-water shrimp (Heterocarpus sp.). 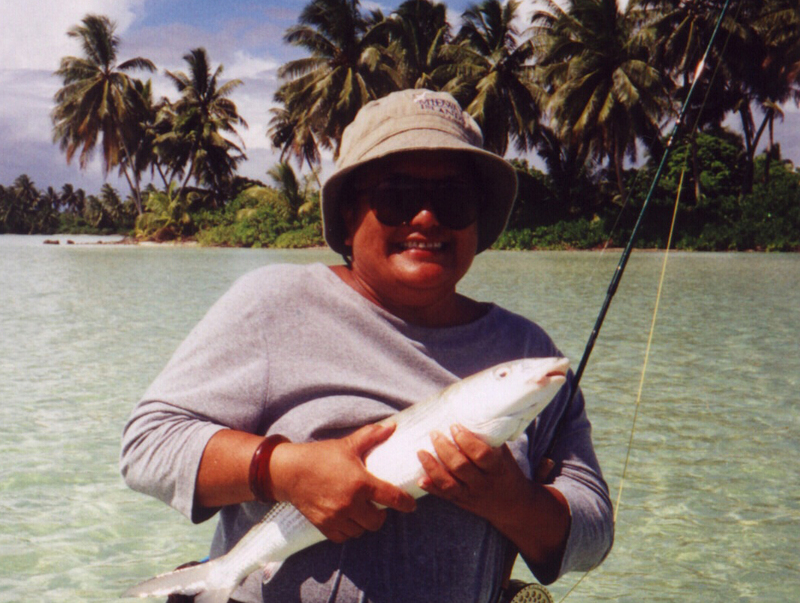 Nearshore fishing has occurred at Johnston Atoll, Wake Island and Palmyra Atoll. The catch at these locations is primarily surgeonfish, goatfish, rudderfish, wrasses, parrotfish and soldierfish. Several outbreaks of ciguatera reported on Johnston have been attributed to dredging operations. This has limited the take of fish for food, although catch and release is still common. Palmyra Atoll is surrounded by extensive reef flats on all sides in addition to the interior lagoon that are ideal for fly fishing for bonefish, which is promoted through The Nature Conservancy programs.